Also called Sensory Integration Dysfunction, Sensory Processing Disorder (SPD) is a disorder in which the brain cannot properly synthesize multi-sensory informations. If a child is affected by hypersensitivity, specific textures, sounds, and tastes, may cause them extreme fear. A sign of hyposensitivity in children can include fearlessness, inappropriately touching people and/or objects and putting themselves in danger due to their troubles responding to pain. It is common for children with Sensory Processing Disorder to be very particular about what they like and do not like. Since children with SPD are highly affected by their sensory preferences, Sensory Processing Disorder can impact a majority of a child’s everyday functions. The Brain Balance Achievement Center of Palmdale helps children with Sensory Processing Disorder, by providing a drug-free approach to help children reach their full potential. We believe that the best way to address your child’s Sensory Processing Disorder is by addressing the root issue rather than just focusing on the symptoms. Brain Balance does not clinically diagnose medical conditions, instead we subscribe to a holistic approach for each individual child. The first step in the Brain Balance program is taking a personalized assessment. The Brain Balance Personalized Assessment can help you understand what is at the root of these issues. It will show you where your child’s strengths lie as well as his or her weaknesses and how the Brain Balance Program may be able to help. 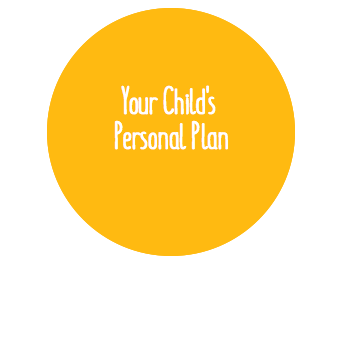 When we understand your child’s strengths and weaknesses, a personalized program is created for your child to help them overcome their specific challenges. Our programs include at-home activities. Sensory motor training activities, academic skill training, a nutrition plan, and in-home exercises for your child to follow. The combination of these activities can help to get your child back on track! If your child is suffering from Sensory Processing Disorder, our center is ready to help. Call the Brain Balance Center Achievement Center of Palmdale at 800-877-5500 today, and schedule a personalized assessment for your child!